Unlike many types of gaming peripherals, gaming monitors actually contribute deep and significant differences to your play. 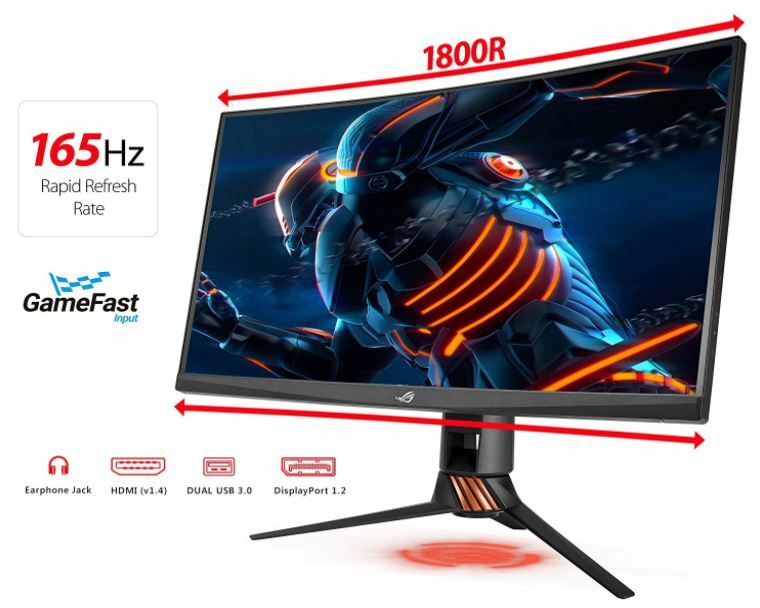 Not only are gaming monitors specifically built for the fast-moving action of games rendered well-above the 60 FPS, they’re also designed to provide the kind of rapid responses that you just can’t get on an ordinary display. And rising above standard 1080p but staying below enthusiast-grade 4K, the perfect entry point for gaming monitors in 2018 is WQHD 1440p. When it comes to picking a gaming monitor, the top two things you’re going to want to keep in mind are resolution and refresh rate. Refresh rate measures how often your display can refresh its image per second. Standard refresh rates for most monitors and televisions are 60Hz, meaning you’ll get a maximum of 60 frames per second when you’re playing a game. Even if your GPU is creating 200 FPS, your system claims it’s running at 200FPS, a 60Hz monitor only lets you see 60 frames. But greater refresh rates come with diminishing returns. The leap of going from 60Hz to 144Hz is huge, but going from 144HZ to 240 Hz is not as substantial. Depending on what you’re playing, making the switch from 60 Hz to 144 Hz can improve your reaction time, makes for a smoother visual experience, and will certainly be appreciated by anyone playing first person shooters. Another thing to keep in mind is resolution. Greater resolutions have greater pixel density. In other words, you can fit more stuff in the same space, resulting in crisper images. WQHD refers to 1440p resolutions, which contain four times the pixel density of a 720p display. 1440p is a particularly good place to enter the era of super-HD content because the improvements you get from 1440p can easily be appreciated by the untrained eye, and nowhere near as demanding on your computer as 4K content. Contrary to what you might think at first, curved displays aren’t a gimmick. They’re a smart design innovation based on the principle that when you’re sitting in front of your screen, the center of the panel is closer to you than the edges. The fact the edges of your screen are further away has a visual impact on your perception of the image, making your experience seem more two-dimensional. Curvature provides a more engrossing media experience, but you need to sit in the right spot if you’re going to get any advantage of the curve. For a gaming monitor, 1800R curvature is a nice shallow curve that’s good for displays sitting about two feet in front of you. Those benefits are lost entirely if you’re not sitting within a particular viewing angle, but it’s hard to deny that in the right spot, your experience is more immersive. Gaming monitors often include dynamic sync features called FreeSync or G-Sync, which syncs the data coming out of your GPU with your panel’s refresh rate. If your system stutters and starts putting out 30 frames per second, a monitor with dynamic sync will instantaneously accommodate that output by adjusting the refresh rate to 30 Hz. Techniques like this eliminate or reduce blurring, ghosting, and screen-tearing. These features aren’t essential, and really only come into play when you’re playing a game that’s poorly optimized, or when your computer isn’t up to snuff and starts to chug. In other words, if you’ve got a nice computer and you’re playing well-optimized games, you probably won’t get anything out of dynamic sync features. On the other hand, everyone’s computer grows old eventually, and having dynamic sync ensures that your games will continue to look nice even as your PC falls behind the curve. Response time indicates how fast one pixel on the panel can switch from gray to gray. Faster signals are something gamers care about because games come with lots of fast-moving motion. If your display isn’t set up for rapid response times, you’ll end up with ghosting and blurring. In other words, greater response times mean a smoother visual experience. It should almost go without saying that you’ll need to connect the monitor to your computer, so you’ll want to pay attention to the inputs a panel uses. 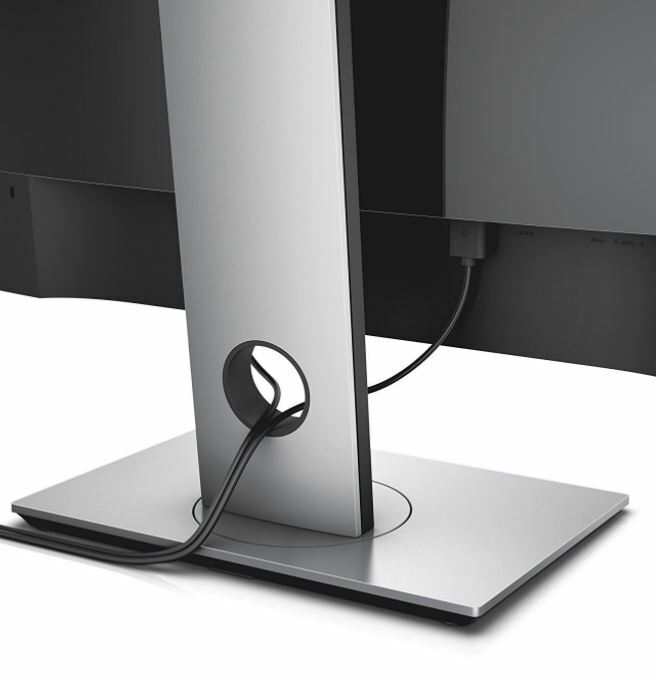 As display standards continue to change, some monitors are losing the old connectors many people have become accustomed to using. So pay attention to whether the panel and your computer have DisplayPort, DVI, or similar connections. You may or may not be concerned with brightness. Brightness is measured in cd/m2, and very bright monitors are generally 300 cd/m2 or more. If you’ve had bad experiences with monitors that weren’t bright enough, they were probably producing 200 cd/m2 or less. Even 200 is a reasonably bright screen that won’t bother any young person, but older adults might want to take note of dimmer displays. Having a screen that can tilt at least somewhat is useful for finding the perfect viewing experience. Some screens can tilt 20 degrees or more, helping you find the perfect spot for your viewing. If you’re trying to use your screen to play movies and shows in addition to games, you might want a panel that’s flexible enough to tilt for an audience. But flexibility isn’t something to get obsessed over unless you’ve got a very specific setup in mind. Finally, there’s contrast ratio, which measures the difference between the darkest and the whitest spaces that the monitor can create. Many manufacturers provide gigantic ratios like fifty million to one, but exaggeratedly high contrast ratios aren’t significant for a gaming monitor. 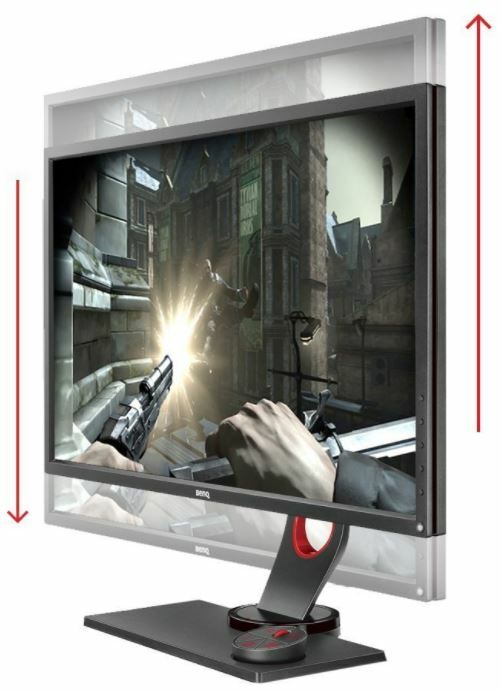 In fact, many gaming monitors specifically use lower contrast ratios because they can make it easier to spot your targets in dark spaces of games. Similarly, some panels support a wider range of color-space, but in general those displays are not built with gamers in mind. 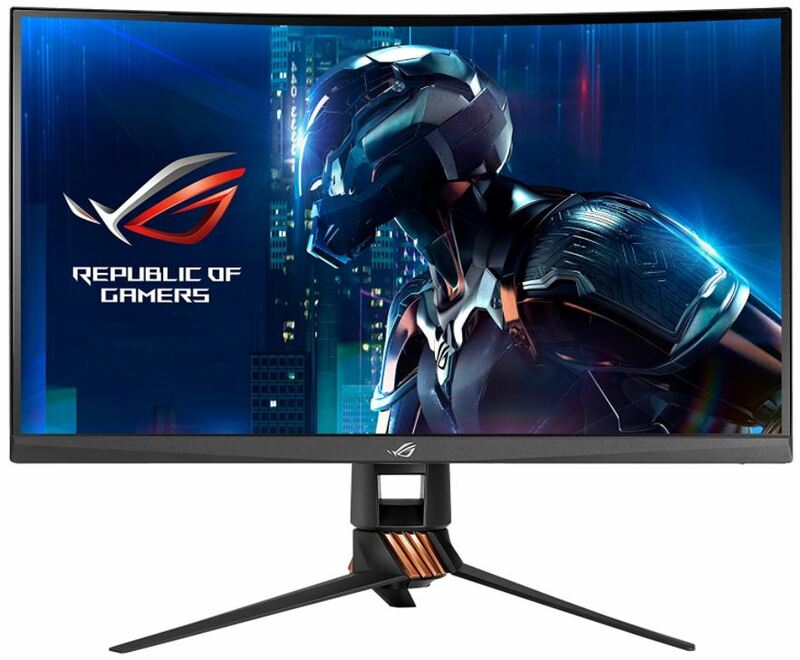 The ASUS ROG Swift PG27VQ is a fully-packed 27’’ WQHD monitor using a gorgeous 1800UR curvature, perfectly suited for someone sitting within a few feet of their monitor. Whether you’re looking for top notch gaming performance that gives you an edge over your opponents, or you’re looking for a gorgeous media experience with rich colors and vivid action, here you’ll find both. The 2560×1440 (1440p) resolution is one full step above 1080p, and it shows in every image. To get started, this panel has literally every gaming feature you could ever want, including a 1ms response time, and a refresh rate that can be overclocked as high as 165Hz. You’ll also find G-Sync technology to get rid of stuttering and screen tears, and flexible options to connect to your devices, like DisplayPort 1.2 and HDMI 1.4. Packed with gaming hardware, this display is fairly heavy at 18.7 lbs., so it’s not ideal for hauling from LAN party to LAN party. But if you’re setting up at home, it’s hard to do any better. With ASUS Eye Care Technology, this panel has a fully ergonomic design monitor that swivels, tilts, and adjusts to height. That eye-care technology also includes flicker-free backlighting, and a blue light filter to ensure your eyes don’t become fatigued after a few hours of gaming. On the backside of this beast, you’ll find a 5-way joystick for navigating through display options. The back also features an impressive LED display featuring several modes of dancing lights, including rainbow, strobe, wave, flash and dance, breathing, color cycle, and starry night. The practical-minded among you will appreciate these lights can also be configured to give you information about your GPU’s temperature. As a cherry on top, this display supports ASUS Aura Sync, which allows you to synchronize the LED display of your GPU, mother board, peripherals, and other RGB-laden electronics. If you’re sitting about 15 inches away from your monitor, like many gamers do, then you’re not going to be taking advantage of a curved display. In that case, you’ll be better off if you can focus on features that will help you. Dell 2018 27″ WQHD Monitor is just what the doctor ordered. Inside you’ll find the next generation of high resolution content, and the essential features most gamers will want. 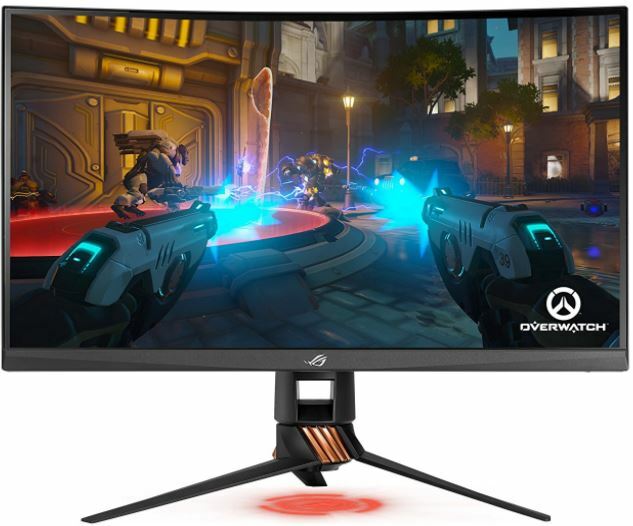 You’ll have an almost impossible time finding a more inexpensive 27″ panel with G-Sync. This panel supports the gaming holy trinity of refresh rate, response time, and G-Sync, making it suited to gamers without including a bunch of features oriented towards movie-lovers. The 1000:1 contrast ratio in particularly clearly indicates a design where games come first. But if you’re looking for higher refresh rates, you’ll have to connect through DisplayPort. Unfortunately, although this panel supports 144Hz, it doesn’t carry higher refresh rates through HDMI. Here you find a truly light gaming monitor weighing just under 10 lbs. 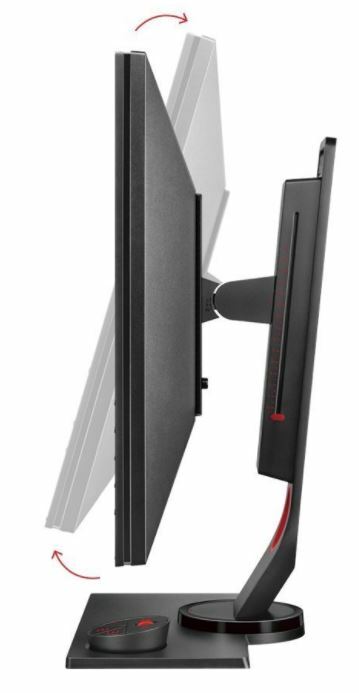 with the stand attached, nearly half the weight of the ASUS Rog above. You’ll also find a reasonable range of tilt and swivel, so you won’t get stuck with a bad viewing angle. However, you’re not going to get the full range of motion nor height control that you can get with the ASUS. On the other hand, relative to its size, you’ll have a tough time finding a more affordable monitor with features like G-Sync. Anyone familiar with competitive gaming will know the name BenQ, a major sponsor for championship tournaments like DREAMHACK, MLG, and ESL One. Competitive gamers have been drawn to BenQ for years because it’s a brand that knows what features gamers need. And they provide for those needs without pandering, or placing goofy red racing stripes on everything. In other words, ZOWIE every major feature you want with no added fat. Among the intuitive options for the BenQ ZOWIE, you’ll find 20 presets for color vibrancy, which can either help your games shine visually, or dull things down so it’s easier to see your targets. You’ll also find a black eQualizer feature that helps improve image clarity in the dark, making it ideal for any game where a little bit of darkness can get you killed. Using more versatile connection options than the other monitors on this list, ZOWIE connects to DVI-DL, HDMI, DPI 1.2, and D-sub. Whichever connection you use, you’ll enjoy the 144Hz refresh rate and 1ms response time gamers want. And you might appreciate that BenQ allows you use their S-switch, to toggle between game settings without having to open your settings window every time you load a new title. Build with an ergonomically friendly design, you’ll appreciate the added height adjustment that’s totally lacking in all-too-many gaming monitors. And just under 11 lbs., this is a fairly portable display. Although there’s no support for adaptive sync features like FreeSync or Gsync, in reality that shouldn’t be an issue for most consumers who are running a 27″ WQHD screen, who are bound to have a computer powerful enough to stand behind such an impressive panel. 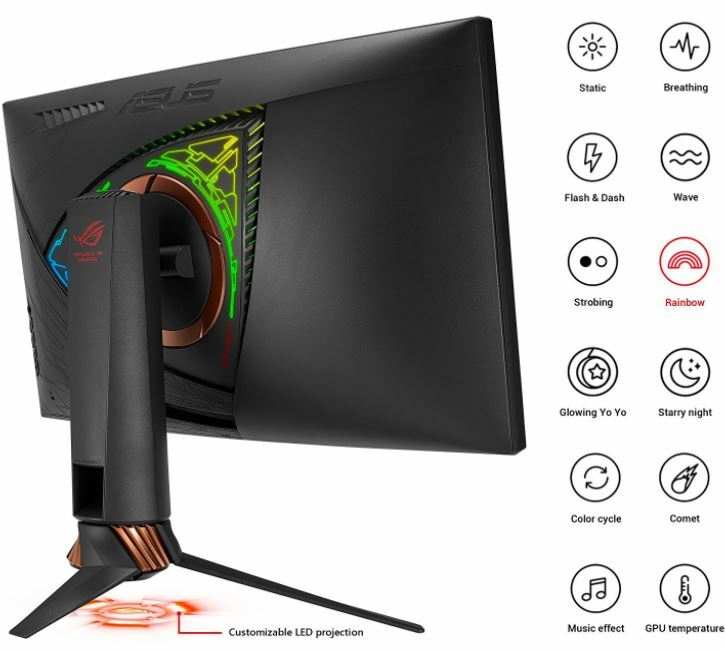 If you’re looking to get absolutely everything in one panel, then you’re looking for the ASUS ROG Swift PG27VQ. It has every premium feature you could want from a gaming monitor, as well as all of the performance you need for a multimedia experience with high definition content. Between the curved screen and the LED show on the back, this panel is remarkably striking, inside and out. 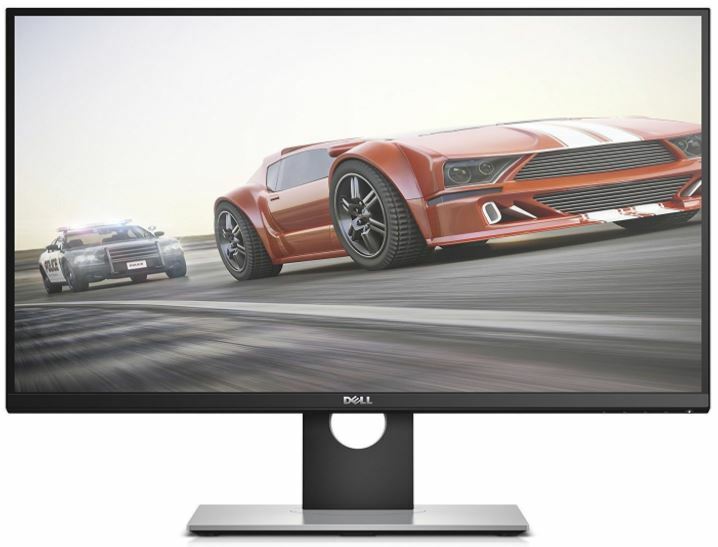 If you’re looking for a gaming monitor above all else, and you don’t particularly care about the visual performance of other types of media, then you’ll be perfectly satisfied with the Dell 2018 27″ WQHD Monitor. It’s extremely portable, backed up by an impressive brand name, and has every essential gaming feature and then some. 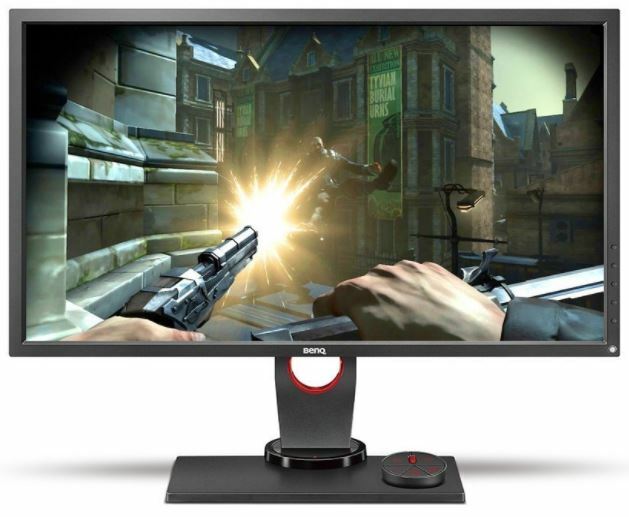 But if your system needs versatile connectivity or you believe height-adjustment to be imperative, then you’re going to want to grab the BenQ ZOWIE 27″ WDHD Monitor. Like with Dell, BenQ isn’t going to sell you a bunch of features oriented towards movie-goers while calling it a gaming monitor. It’s a lean panel that isn’t filled with fatty extras, yet still provides the everything critical to gamers.